I am a new user and trying to send alerts to an email. 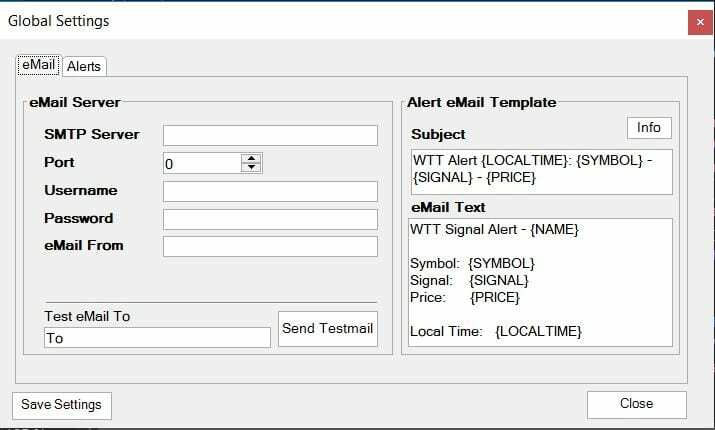 I can see the alerts being generated in the signal list table, but don’t receive any alerts in the email. Under the alerts Output tab, I have checked the ‘eMail Alerts’ and specified my email address. This topic was modified 6 months, 2 weeks ago by gurps317. Have you set your smtp server settings for email alerts in the global settings parameters?